2 Where is Rachel Maddow Now? 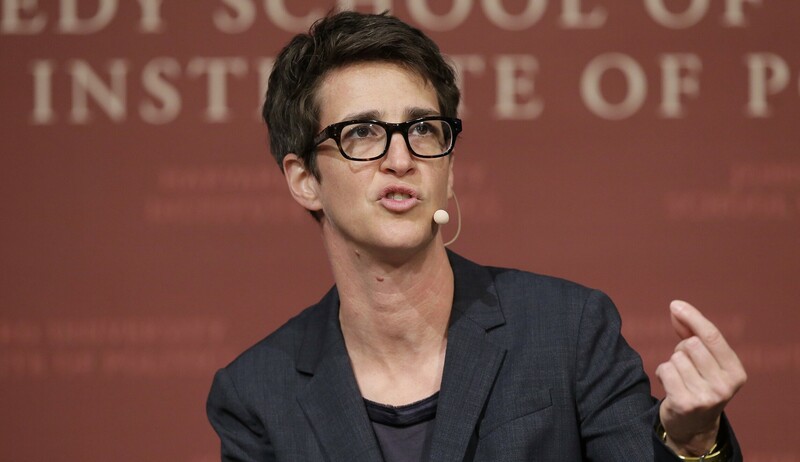 8 Do You Know How rich Rachel Maddow Is? 9 Do You Know About Rachel’s Personal Life, Sexuality, Marriage, Children? Born Rachel Anne Maddow on the 1st April 1973, in Castro Valley, California USA, she is a television host, political commentator and author, best known to the world for serving as the host of her own talk-show “Rachel Maddow” (2009-2018). She has appeared in many other shows, and has also boosted her popularity through her writings, and appearances in films and TV series. Where is Rachel Maddow Now? Rachel is going strong as a TV show host and has most recently hosted the 1,475th episode of her own show, and been seen in an interview in regards to immigrant babies and their parents being separated, and sent to “tender age” shelters on the southern U.S. border. 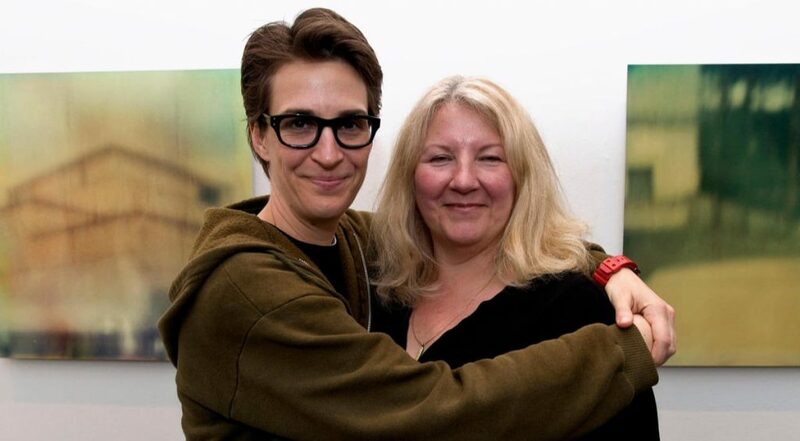 The younger child of Elaine and Robert B. Maddow, a retired US Air Force Captain and a lawyer who worked for the East Bay Municipal Utility District, while her mother served as a school program administrator. She is a younger sister to David, and is of mixed Polish, Russian, Dutch, Canadian, Irish and English ancestry. She went to Castro Valley School, during which time she became interested in sports, primarily volleyball, basketball, and swimming as well, competing in a number of sporting events. Following her matriculation, Rachel enrolled at Stanford University, from which she graduated with a degree in public policy in 1994, and during which time she came out of the closet, stating she was a lesbian. Her studying was quite productive as she earned several scholarships, including Rhodes Scholarship, and was awarded a John Gardner Fellowship. She continued her education at Lincoln College, Oxford, and in 2001 completed her Doctor of Philosophy in politics. Her mentor was Lucia Zedner, and her doctorate thesis was “HIV/AIDS and Health Care Reform in British and American Prisons”. Rachel’s first professional job was on the radio, joining WRNX in 1999, where she found a place for herself as an assistant for Dave Brinnel. She soon moved to WRSI in Northampton, Massachusetts, where she worked as the host of “Big Breakfast” for the next two years, leaving in 2004 as she wanted to become a part of Air America. 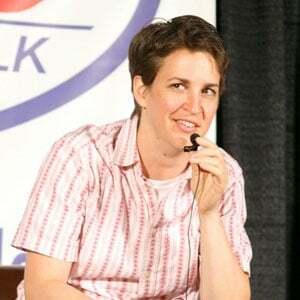 It was in 2005 that Rachel first felt the sensation of success when she started hosting her own “The Rachel Maddow Show”; after five years on radio, it became a TV show, and since then, Rachel has been dominating the scene as a liberal political commentator. In 2005, Rachel made her first television appearance as a panelist for the show “Tucker”, and slowly started building a name for herself on the television scene, parallel with her radio show. She was becoming more influential, which brought her new engagements, and so became a correspondent for the show “The Advocate Newsmagazine” in 2006, and would often collaborate with Keith Olbermann for his show “Countdown w/ Keith Olbermann” from 2007. Since then, she has contributed to a number of talk shows, primarily on MSNBC, but also on other stations and channels. She is a frequent guest in “Late Night with Jimmy Fallon”, and in “Late Show with David Letterman”, “The Tonight Show with Jay Leno”, and “Late Night with Seth Meyers”, among other contributions. Starting in 2005 as a radio program, it became popular and soon moved to TV. Premiered on the 8th September 2008, the show has become one of the most popular talk shows on MSNBC, featuring daily news and opinions on topics such as politics, among others. Rachel has won a number of awards, including two Emmy Awards in the category for Outstanding News Discussion & Analysis, in 2011 and 2017, among many other awards and honors. Aside from work as a television host, Rachel is also an acclaimed author; back in 2012 she published her first book “Drift: The Unmooring of American Military Power”, which reached the top of The New York Times Best Sellers list, remaining there for five weeks and in the top 10 for seven weeks in total. Do You Know How rich Rachel Maddow Is? Since starting her career, Rachel has become one of the most successful television hosts, and journalists, so you’ve possibly wondered how rich Rachel is, as of mid- 2018? 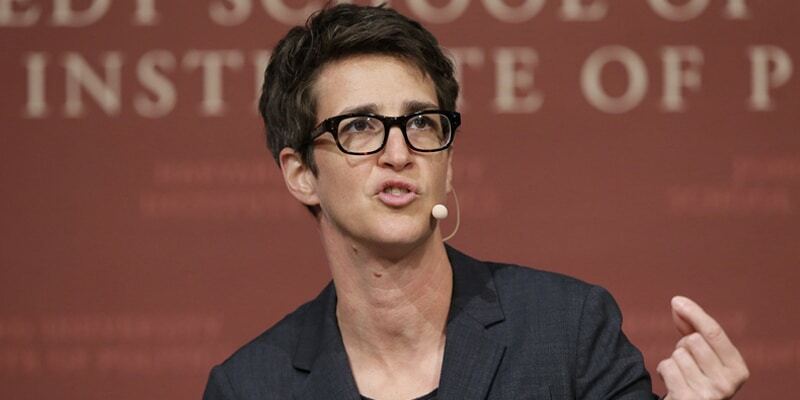 According to authoritative sources, it has been estimated that Maddow’s net worth is as high as $20 million, while her salary is estimated at $7 million per year. Pretty decent don’t you think? Do You Know About Rachel’s Personal Life, Sexuality, Marriage, Children? Rachel is pretty much open about her love life; she came out as a lesbian while at university, even before telling her parents. Since 1999 she has been in a relationship with Susan Mikula – they split their time between homes in Manhattan, New York, and West Cummington Massachusetts. The two don’t have any children. Rachel was diagnosed with cyclical depression in her teen years, and has since fought this state. She has managed to stay out of hospitals by doing three things that help her avoid mood swings – exercising, sleeping, and fishing as well. Rachel can be found on such social media platforms as Instagram, Facebook and Twitter, on which she has shared details from her career, but also from her personal life. Her official Instagram page has 90,000 followers, who have enjoyed pictures and videos from Rachel’s show. She is also quite active on Facebook with daily posts in regards to daily news and important events from around the globe, followed by over 2.5 million. She can also be found on Twitter, on which she has over 9.4 million followers. So, if you aren’t already a fan of this prominent TV host, this is a perfect opportunity for you to become one, just skip over to her official pages.